A few months ago when my parents came to visit, they brought me one of my grandpa’s cast iron skillets. I was beyond excited! I have a mini Lodge skillet that I’ve used for a few different recipes, but I’ve always wanted a full-size one. I immediately got to work cleaning and seasoning it so that I could use it as soon as possible. 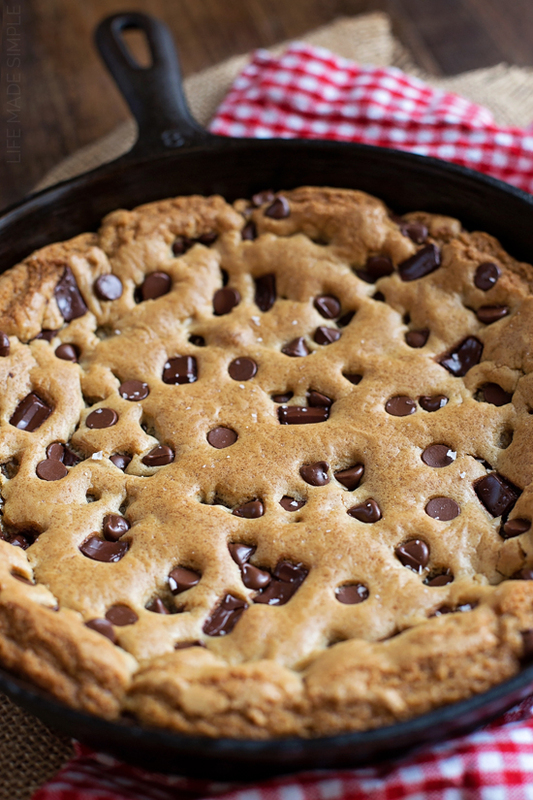 The first thing I made in it was this browned butter chocolate chip skillet cookie! It wasn’t until recently that I discovered my love for browned butter. I know, I know… it should have happened long ago. But after making some really yummy chocolate chunk walnut cookies with browned butter (recipe coming soon), I knew my first skillet cookie had to incorporate it. So I got to work whipping up the batter for the cookie, then turned on the oven and tossed it in! It baked up beautifully, with a slight meringue-like crust on the top. It was thick, slightly gooey and oozing with melty chocolate. My kind of dessert! I sliced it up as soon as it had cooled off enough and placed a nice little scoop of vanilla bean ice cream on top. If only I had some salted caramel, I would have drizzled it all over it! Next time. And trust me, there will be a next time! This cookie was so delicious, we gobbled it up within a few days. It’s seriously irresistible! 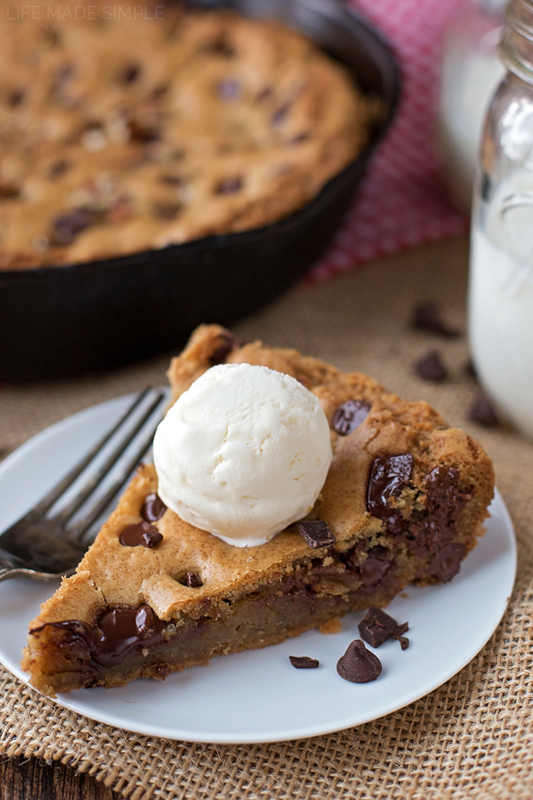 You're going to fall in love with this thick and decadent browned butter chocolate chip skillet cookie. It's everything you've dreamed of and more! In a small saucepan set over medium heat, add 8 tbsp. of butter. Heat until the butter foams then begins to brown and become speckled (about 3-5 minutes). Remove from the heat and pour into a medium size mixing bowl along with the remaining butter. Stir until all of the butter has melted. Add the sugars, egg, egg yolk and vanilla. Beat the mixture for 30 seconds, then let rest for 30 seconds. Repeat 3 times. In a small mixing bowl whisk together the flour, salt and baking soda. Using a spatula or wooden spoon, stir in the dry ingredients. 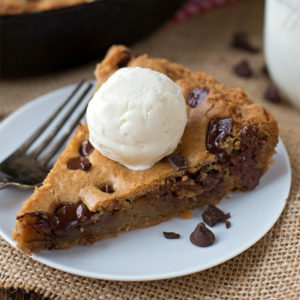 Fold in the chocolate chips and chocolate chunks, then press into a 10-12 inch cast iron skillet, creating an even layer. Place in oven and bake until the center is set, about 20-25 minutes. 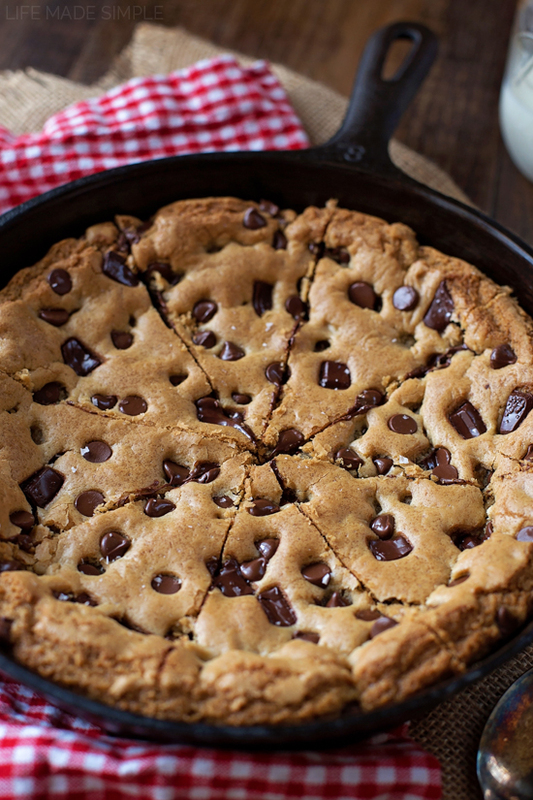 Just remember with a cast iron skillet the cookie will continue to bake a little as it cools. Remove from the oven and allow to cool for 10-15 minutes before slicing and serving. -I like to use either Ghirardelli or Scharffen Berger chocolate. They make quality chips, bars and chunks. 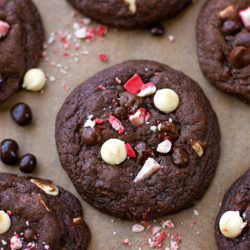 Yum, I am loving the double chocolate in this cookie! Ok I really need this in my life, like right now! 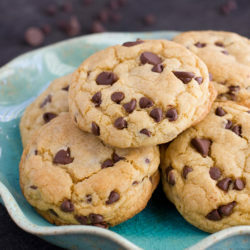 Skillet cookies are the bomb! Cookies are my weakness.. especially when they come in giant form like this! Hi, can I make this in a 9 inch skillet? Thank you for your response! Just one last question. I don’t live in the US so I don’t use cups (although I will buy a set soon) anyways I was wondering how much of the semi sweet and bittersweet chocolate will be in grams? Tried to google it but it says different things on different websites. Do you maybe happen to know? And do you use a electric mixer while doing this or by hand with a whisk/wooden spoon/spatula? By the way, do I have to butter the skillet? 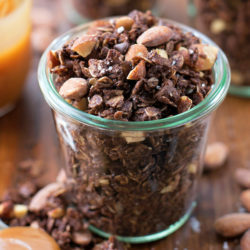 Love,Love,Love this recipe and so does everyone I make this for ! Love hearing that- thanks Laurie!